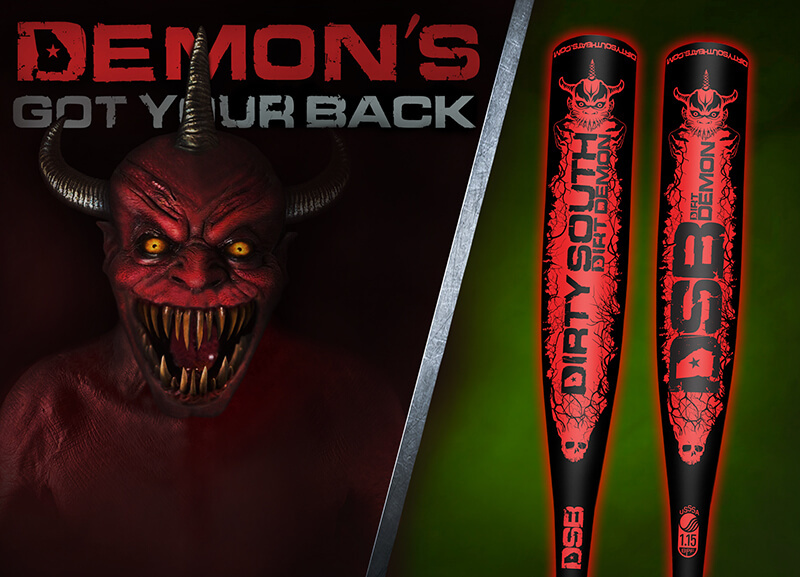 Dirt Demon is one of our newest releases for the DSB line and it will bring out your inner Dirt Demon on the field. 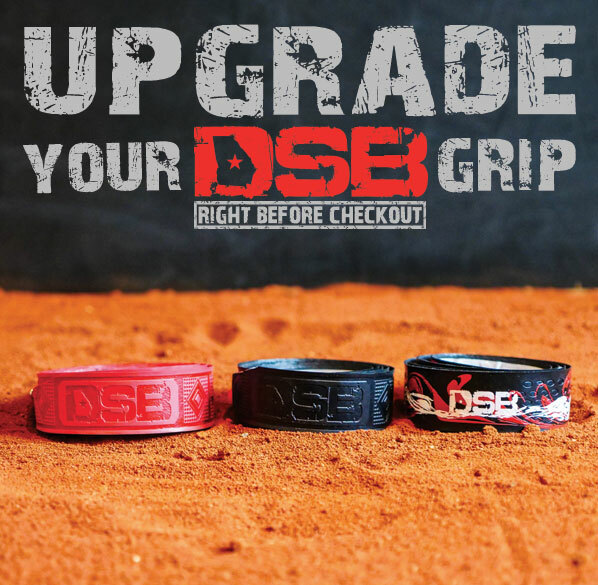 DSB continues to provide improvements on durability to keep your Dirt Demon hitting all year long, but comes with a lower compression. Dirt Demon will continue giving players the unsurpassed performance and pop of a Dirty South Bat. The balance to slight end-load approach continues to give the elite travel ball player the continued confidence of an American (Georgia) made bat. 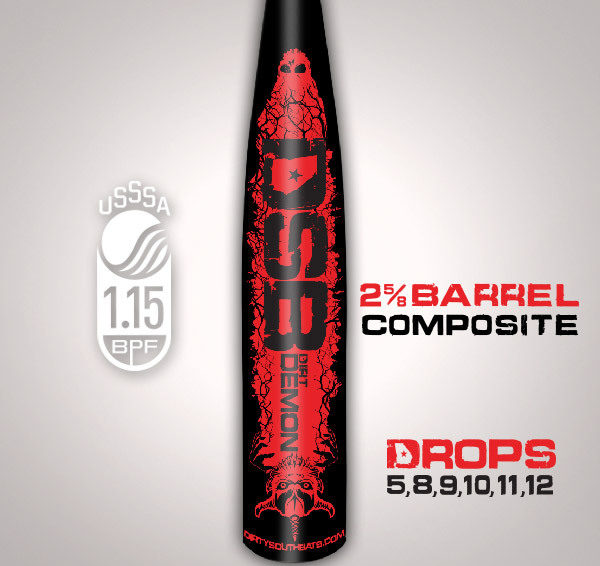 Every Dirt Demon is 1.15 BPF USSSA certified. We apologize for making your other brand bat obsolete. We call our Drop 5 Dirt Demon the Speed Barrel. It has less sweetbarrel than the mammoth size barrels on the Swag and Kamo lines. It has roughly 2” less (see barrel comparison). This benefits the kids who need faster swing speeds or smaller kids transitioning to a Drop 5. It still has DSB’s legendary pop, but we shorten-up the barrel and added 3 oz weight to the handle/knob area creating a more balanced bat. Use Them or Lose to Them™. Don’t take our word for it, listen to everyone else who has reviewed and used our bats. Are you ready to release your inner demon out on the field? Still working it in. I like what we see so far. DSB doesn’t disappoint. This is our second bat from DSB and we are extremely pleased from customer service, to shipping/receiving, to the products themselves. Excellent! I have never seen a hotter bat out of the wrapper with this pop…just wait for some videos. Follow @thegregstons on Instagram or Team Warstic – Malcom on Facebook!! My son is a true power hitter and has multiple bats, but his DSB has been his go to favorite this season. He has but multiple 300ft+ homerun during practices and is very excited to see what this tournament season brings for him! Got this for my son. He loves it so far. Will be in the market for a -8 next year and will definitely be considering a DSB. Great bat out of the box! My 8 year old son has a made and now the Demon. No comparison on the market. 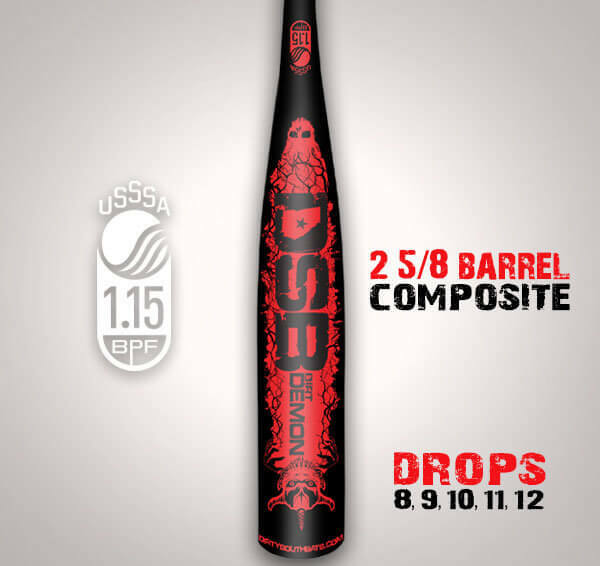 great bat, lots of pop and durable. This bat has a lot of pop. Not being able to have my son test it out first was an issue. The weight of the bat was a little heavier than initially thought, but he can grow into it. Every kid on his team use DSB products, and we are satisfied with the dirt demon. This is my 11 year olds second DSB. He won’t ever swing anything else. 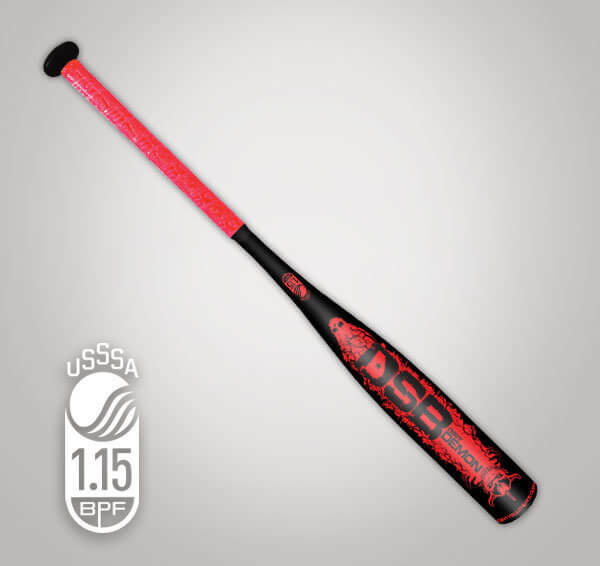 Super hot bat…so hot 5 other kids on our team have ordered one! Bat was hot out of the wrapper and continues to get better. My son loves it, preferred it to the Cat 8 after hitting both. My son loves the bat, the pop on it is amazing ? I was skeptical to spend this kind of money on a bat for a younger kid (6 1/2) and I’ve personally never been a huge fan of composite. But after reading reviews and discussing with DSB representatives, I decided to make the investment. Had it for a few weeks now and while it’s still a little heavy for my kid, he’s hiring better with it than any other bat that he’s allowed to use. More pop than any other bat out there that he, or any other kid who has tried it, has found. DSB bats are legit, and don’t hesitate to call to discuss which one is right for you or your child. I never even considered this particular bat, until the recommended it, and I’m glad they did. My 11 year old son loved this bat the first time he hit with it. Very similar feel to the Swag he had previously, but like the drop 9 option better. I am very pleased with this bat. I usually do not buy into “Hype” but believe me when I say this bat is Hot! Great bat. We replaced a 28/18 swag. Son loves the slightly more end loaded feel. He’s only swung it in four games so far but it has performed well. Bat was beautiful when we got it and was hot right out of the box.